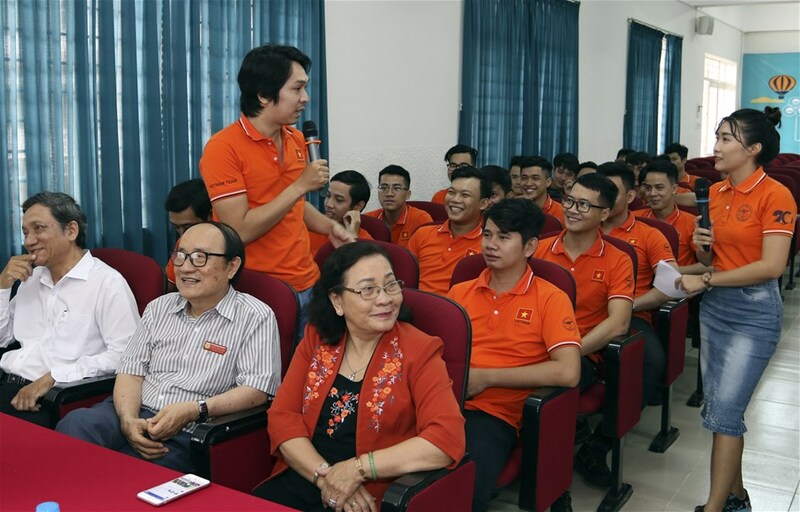 In the morning of August 22, Dong Nai-based LHU organized a send-off ceremony for its robot teams to compete at the ABU Asia-Pacific Robot Contest 2018. Head of Lac Hong Robocon Management Board Lam Thanh Hien delivered an opening speech at the ceremony. The ceremony saw the presence of People's Teacher Dr. Do Huu Tai - Rector, DSc. 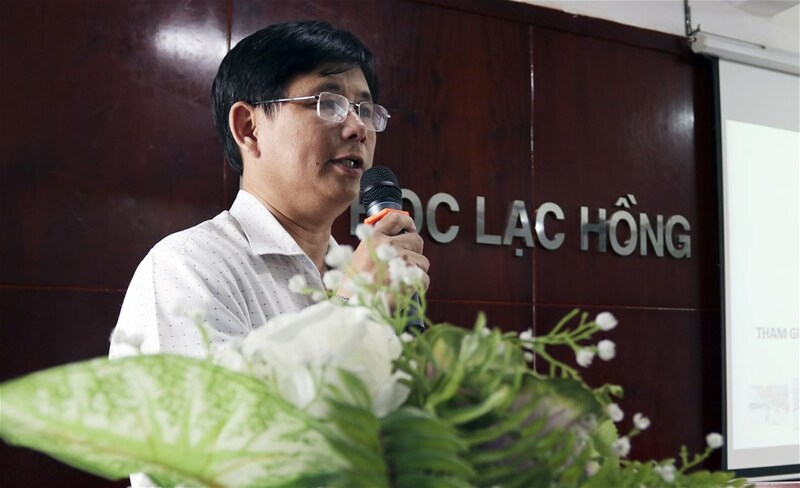 Lam Thanh Hien - Standing Vice Rector - Head of Lac Hong Robocon Management Board, the University Management Board, leaders of units, robot teams and members. Lac Hong Robocon delegation showed their high-leveled determination at the ceremony. After the victory at the National Robot Contest 2018, LHU's LH - ATM and LH - Galaxy teams will represent Vietnam to compete at the Asia-Pacific Robot Contest 2018 held at Ninh Binh Sports Centre in Ninh Binh on August 26. LHU Rector Do Huu Tai presented flowers to encourage the spirit of Robocon delegation. The contest attracts the participation of 19 teams from 18 countries and territories in Asia - Pacific Region. These teams are divided into seven groups (five of three-teams and two of two-teams). Eight teams (including seven group leaders and one group runner-up with the best performance) will enter the quarter-finals. This year’s theme is “Nem Con” (con throwing) - a popular folk game of ethnic minority groups in the northwestern region. During the game, the manual robot will deliver the con to the automatic robot to throw towards the rings on the field. The team who throws the yellow con through the ring that landed on a ground called the “golden cup” will win the game immediately. Instructor La Khai Khai expressed his feeling at the ceremony. This is the 17th consecutive year the ABU Robocon has been organized and it is the third time to be hosted by Vietnam (earlier in 2007 and 2013). Participating in robot contests, LHU has won eight first prizes at National Robot Contest and two first prizes at ABU Robocon 2014 and 2017. This is also the eighth time of LHU to represent Vietnam at ABU Asia-Pacific Robot Contest, entrusting great expectation of LHU collective, Dong Nai people, and robocon fans across the country. It is believed that robot teams will play the best and once again succeed at the international playground.